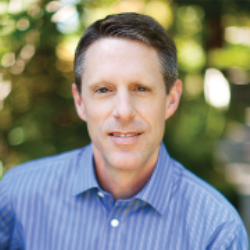 John Denniston is a Silicon Valley vet who is passionate about green technology. John is currently the chairman of Shared-X, an agribusiness startup pioneering a novel means of developing rural agricultural land in developing countries. Through this startup, John is on a mission to revolutionize agriculture with three goals: to generate attractive financial returns for investors, lift 12,000 people out of extreme poverty, and deploy sustainable agricultural techniques to the developing world. We are excited to have John discuss social entrepreneurship and agricultural innovation at the 2016 Pioneer Summit. John is a retired partner at Kleiner Perkins Caufield & Byers and during his time there he conceptualized and launched the firm’s greentech investment initiative. The KPCB greentech team, invested in more than 50 companies across a wide variety of sectors. Before joining KPCB, John was a managing director and head of technology investment banking for the western United States at Salomon Smith Barney. Earlier in his career, Mr. Denniston was a partner at the law firm Brobeck, Phleger & Harrison, where he was head of the firm’s venture capital practice group and co-head of its information technology practice group. He also served on the investment committee for the firm’s venture capital fund. John is actively involved in public policy issues, having testified before congressional committees on numerous occasions. He also serves on the board of advisors of the National Renewable Energy Labs. He has a B.A. in Economics and a J.D. from the University of Michigan.